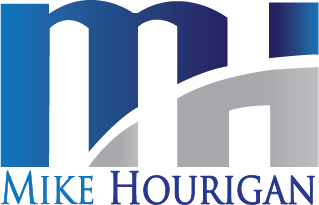 Motivational speaker, Mike Hourigan, delivers upbeat motivational keynotes and closing speeches which gives people permission to change by inspiring them to recognize and maximize their individual talents. Some motivational speakers can bring people to their feet or even make them cry and produce an effect similar to a sugar high. Unfortunately, the crash that follows the sugar high can leave people feeling let down and wanting more. Mike Hourigan is a motivational speaker who keeps your pulse and energy up long after the motivational speech is over. Mike shows people how to take away and keep the momentum from his motivational speeches. Mike’s motivational programs address organizational absurdities in the areas of leadership, sales, customer service and teamwork with titles like “Teamwork is More Than Just Tee Shirts” and “Taking the Cuss Out of Customer Service”. Mike promises you will laugh during his programs but can’t guarantee you will not shed a tear. He does guarantee you will leave moving in a new direction armed with some new ideas and tools to face life straight on.